Separate dough into 8 rolls, and let stand 10 minutes; set icing aside. Place rolls cinnamon side up into muffin cups. Press in bottoms and up sides of cups. Spoon 2 generous tablespoonsful pie filling into each dough-lined cup. Bake 14 to 18 minutes or until golden brown; cool in pan 5 minutes. Using a thin metal spatula, run around edges of rolls to loosen, and remove to serving plate. Transfer icing to small resealable food-storage plastic bag, and cut small corner off one end. Drizzle icing over rolls. Serve warm. 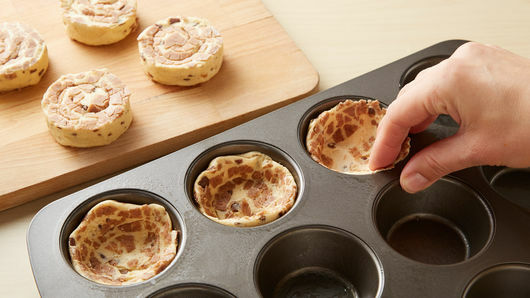 Let cinnamon roll dough stand 10 minutes to make pressing them into muffin cups easier. 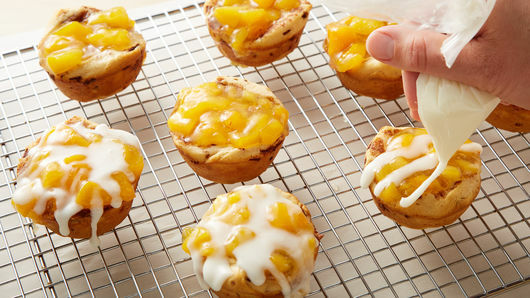 Assemble peach pie cups; loosely cover, and refrigerate up to 2 hours before baking. Make it your own! 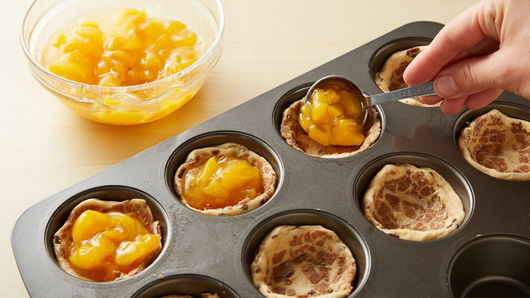 Try substituting your favorite fruit pie filling in place of peach. Pie cups are best served warm. We based this recipe off our popular 2-Ingredient Apple Pie Cups recipe. 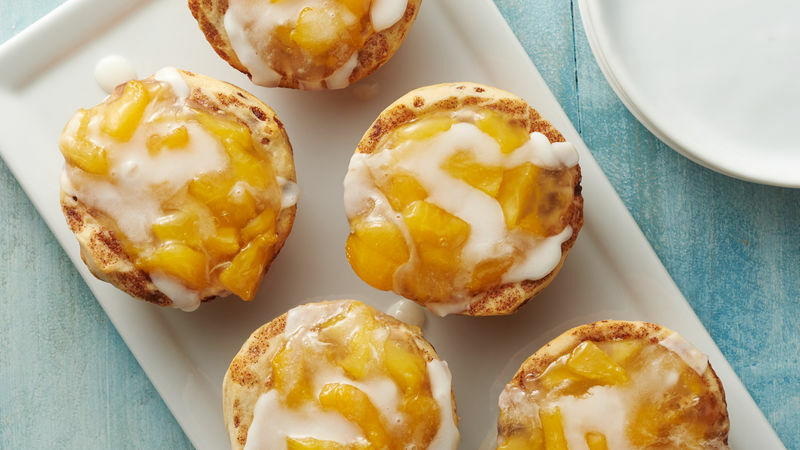 After you've tried these peach pie cups, give the apple version a try, and see why so many Pillsbury™ fans love it!